The ACER SWIFT 5 SF5145154T8 is laptop PC comes packed with 7th Generation Intel Core i5-7200U ultra low voltage dual core SoC that features SmartCache technology which provides 3 MB level 3 cache and runs at the base clock speed of 2.5 GHz with Boost speed of 3.1 GHz. It has an integrated graphics controller called Intel HD Graphics 620 clocked at 300 to 1000 MHz. This laptop PC is packed with 14" Full HD display with 1920 x 1080 native resolution. The resolution of this laptop is high compared to other laptops, it is expected that the display of this laptop is sharp and clear compared to laptops with lower screen resolution. The display also features CineCrystal glossy screen technology; PS technology and LED backlit. 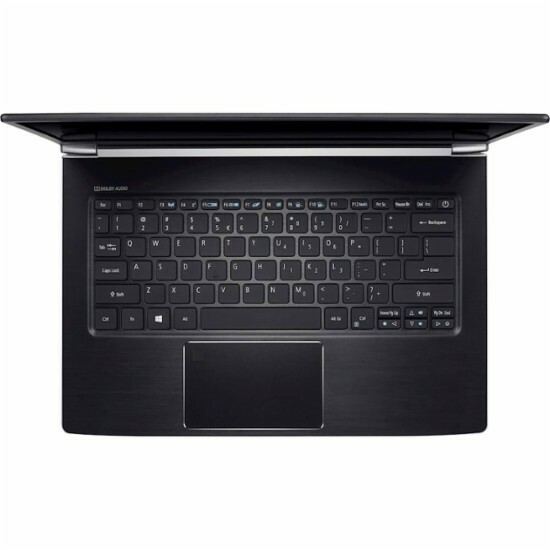 Under the hood, the ACER SWIFT 5 SF5145154T8 is equipped with specifications such as 8GB system memory for advanced multitasking; 256GB solid state drive (SSD); Acer TrueHarmony technology with Dolby Audio Premium; backlit keyboard for easy typing in dim or dark locations; microSD card slot; HD webcam with microphone; fingerprint reader; and a 3-cell 4670 milliampere hours battery to be able to use this laptop whenever you are away from the main source of electricity up to 10 hours. It comes in Obsidian Black color for stylish look. 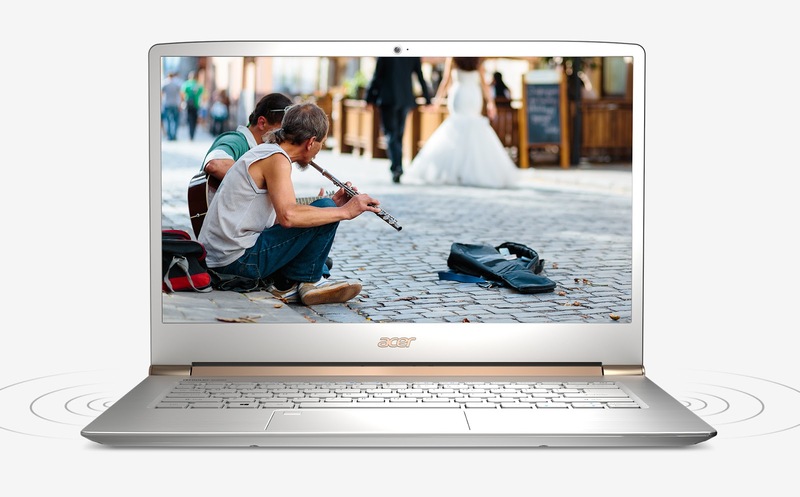 With regards to connectivity, this laptop comes packed with Bluetooth interface syncs with compatible devices; 2 USB 3.0 ports maximize the latest high-speed devices; 1 USB 3.1 Type-C port for even more performance; Next-Gen Wireless-AC connectivity; and HDMI output expands your viewing options. 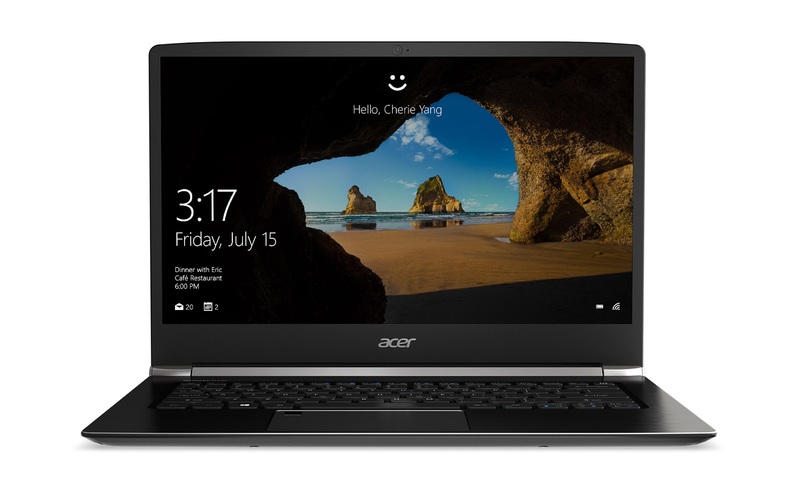 This ACER SWIFT 5 SF5145154T8 is powered by Windows 10 operating system. This laptop has the following dimensions: 12.87 (W) x 0.57 (H) x 8.98 (D) in and weighs about 2.87 pounds. You can get this laptop PC at the price of $804.99. Other laptop in this price range includes HP PAVILION 15-CC018CA; ASUS ZENBOOK FLIP UX360UADS51T and ASUS 2-IN-1 Q524UQ-BHI7T15. Do you own this laptop computer. Please let us know your experiences with this device.